There are plenty of choices out there in the game market for fans of racing to get their fix. From racing simulators to more arcade style kinds to family friendly kart racers. However, if you’re a fan of a particular type of racing such as NASCAR maybe not so much. 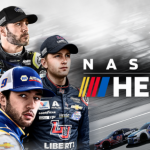 Monster Games has been trying to take that challenge on themselves over the past few years with the NASCAR Heat series. While the first two entries were OK they had some issues that fans are hoping NASCAR Heat 3 addressed. There are various modes to engage in in NASCAR Heat 3 but the one I think needed work from past entries is the Career mode. 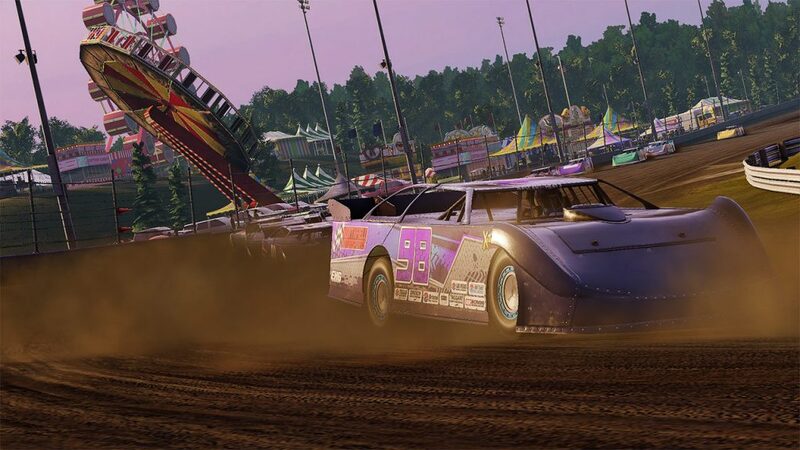 Monster Games has worked to improve this mode adding the new Xtreme Dirt Tour which has you starting off racing on some dirt and muddy tracks. Once you get past this they give you the option to build your own team this time around. If you’re not interested in building your own the option to sign with another team is still there as well. Building your own team involves earning money which you will then spend hiring various people and improving their skills so that they can assist you in being better prepared for the different racing scenarios you find yourself taking on. There are three different vehicle chassis in the game and each one is better suited to certain races. The people you hire can improve each one to give you a better chance at winning which you will need to do although this takes time. There are certain amounts of time you have before each race period and upgrading your cars can take one or two of these periods. You really have to pay attention to the calendar and make sure you have the time you need to get your cars in shape before the event rolls around. Otherwise you’ll find yourself at a disadvantage and struggling to win. 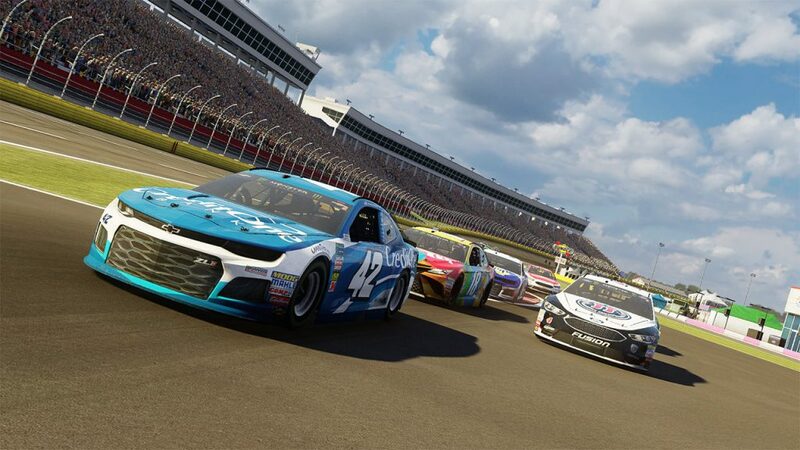 Racing in the game feels about like you would expect a NASCAR game to feel like. You race around these oval tracks and pay attention to both the lane you’re in as well as the other racers trying to decide when is the best time to try and make a move or go for a block to prevent them from passing you. The AI though for the most part seemed pretty poor and didn’t offer much of a challenge in some cases especially if I started a race near the front of the pack. They also show other weird behavior like pulling out and running into me out of nowhere and sometimes you even see them swerving all over the track. Keep in mind that I was playing on Normal and there is a harder setting if you want to play on it but that doesn’t do anything in relation to that other strange behavior. Outside of the career mode you have the other options such as online multiplayer, split-screen racing for local multiplayer fans, quick race, challenges, and championships. Championships is quite fun as you pick one out of four to compete in and play through the entire thing rising and falling in the standings based on how you perform. The challenge mode is also quite fun as it presents almost 40 different events and challenges you to race and achieve certain goals in each one in order to pass. I was able to take part in a few online races during my review and it seemed to run fine for the most part. I did encounter players who just wanted to crash into other people and cause havoc which was quite annoying. It’s not the deepest online racing game out there but it adds value to this overall package. 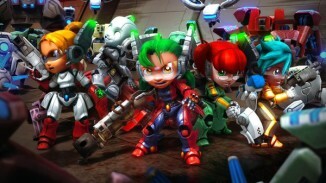 Visually the game still looks kind of poor with visuals that look like they belong on a last generation console. The framerate seemed to fluctuate quite a bit too and this was when playing on a PlayStation 4 Pro. 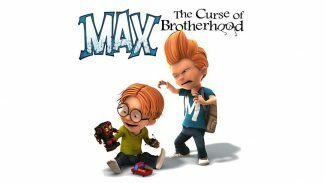 The acting in some of the in game videos was pretty bad too which is pretty disappointing as it was in the last game too. The soundtrack and actual car audio is pretty good though as is the sound of the crowd as you are racing. It’s just really disappointing that Monster Games still hasn’t upgraded this area to the level that it needs to be especially seeing as how we’re on the third entry. In regards to trophies/achievements there are 62 in total with it mostly being a pretty simple list. Basically if you just set out to do everything you’ll unlock most of them so it’s not a difficult list as much as it is a time consuming one. 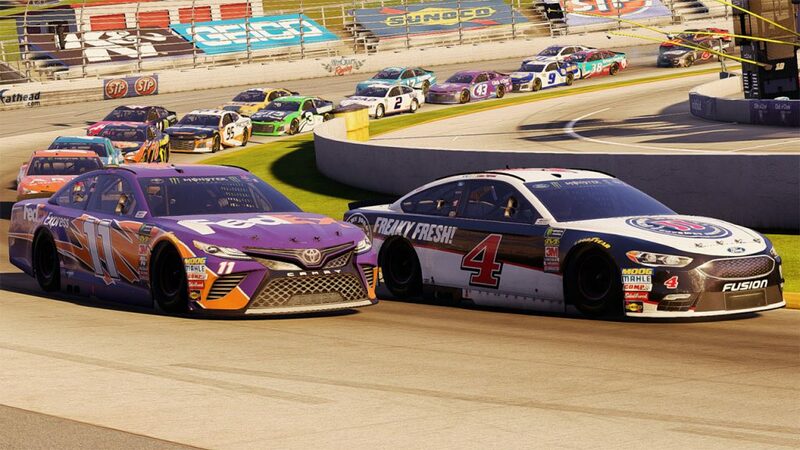 Monster Games does show improvement this year with NASCAR Heat 3 it’s just not as big a jump as I would’ve liked to see. The game still needs to see bigger improvements in the presentation and performance areas to make it feel like a proper current generation title and take a spot beside some of the more well respected racing games around. It does offer a good amount of content however and managing your own team while trying to win championships can be quite fun. 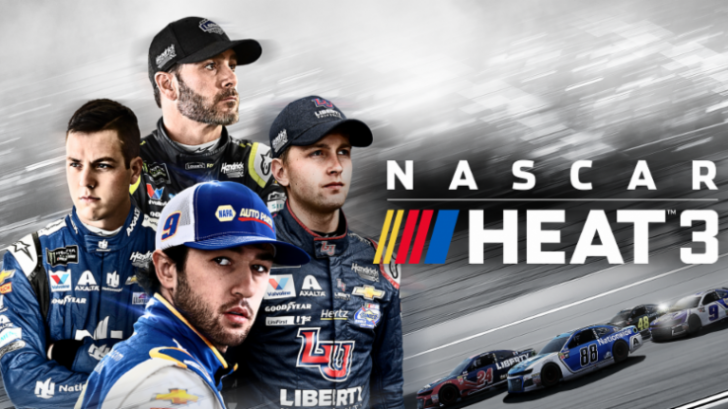 It might not be the best racing game available but it probably is the best NASCAR game you can buy. 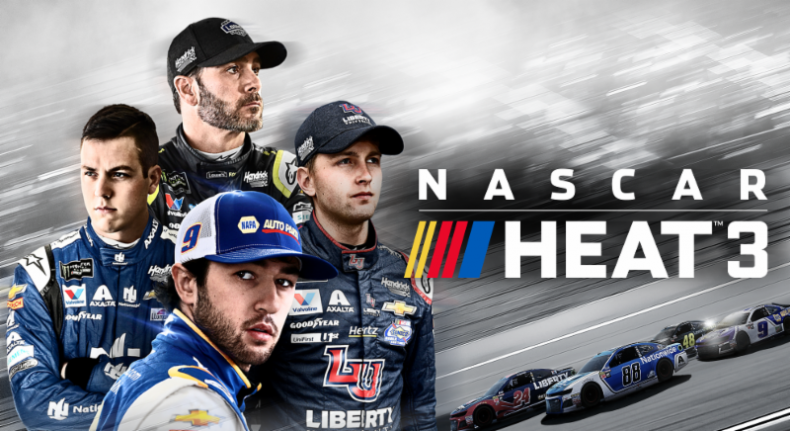 *NASCAR Heat 3 is out now on PlayStation 4, Xbox One, and PC. 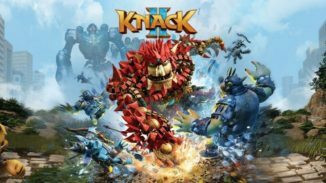 Reviewed on a PS4 Pro. Review copy provided by the publisher.